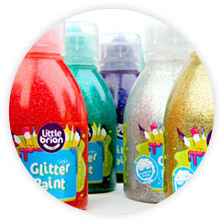 Incorporated in 1973, based in Rochdale Lancashire and named after its founder, Brian Clegg supplies art and craft products and metal toys into the educational and retail markets. The company has a very strong domestic business and an growing export business. Primarily aimed at the younger user, the bulk of our extensive range of student and hobby products is manufactured at our premises in the North West of England. 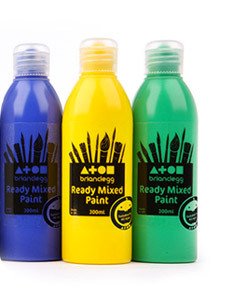 The 'Brian Clegg' brand is trusted and reliable and the company is the largest supplier of art products into the UK education market. We can offer a superior alternative to private label / own brandsourcing from China or India. Our flexible production processes offer all the customisation you would expect of a private label supplier. Our UK base allows us to provide better service to our local European markets, by the way of shorter lead times and smaller minimum order quantities. We would also argue that we offer a more environmentally responsible option, as sourcing locally has a lower carbon footprint, especially for bulky products with a high water content, such as paint, ink and glue products. The company has a very strong domestic business and a growing export business. Primarily aimed at the younger user, the bulk of our extensive range of student and hobby products is manufactured at our premises in the North West of England. Stay updated with all our latest news, products and offers by signing up to our newsletter. Your request will be reviewed and customer services will be in touch. An email containing a reset password link has been sent to the email address provided. This link is only valid for 24 hours.